I was tired of the subjectivity and egos. There had to be a more objective and quantifiable way to evaluate my copy. So, I started exploring the world of analytics. Measurements, numbers, graphs, etc. It’s a bewildering world for someone with a creative background like me. How do you argue with something that brings in customers or makes money? 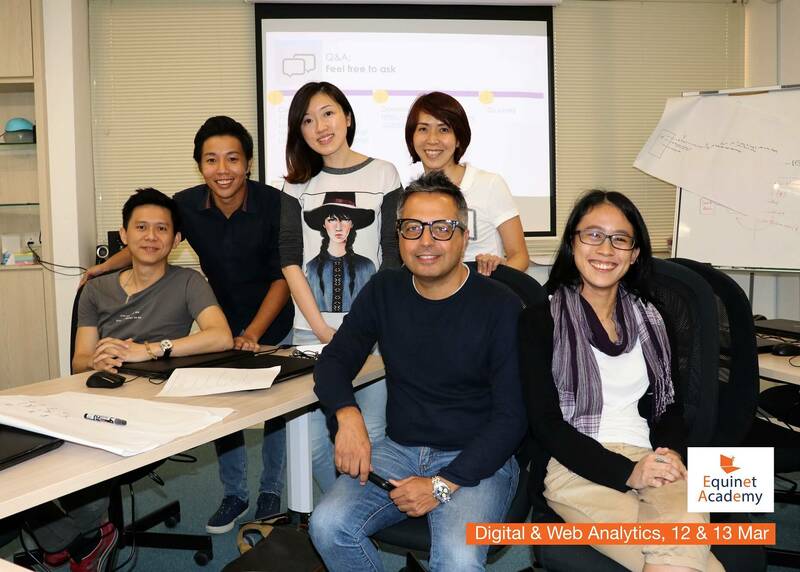 Earlier this year, my friend Dylan invited me to join a Google Analytics workshop at the digital marketing academy he runs. Google Analytics is one of the most popular and widely used web analytics tools. I wanted to learn it so that I could measure the success of my copy. But when I tried studying it on my own, I got stuck. There are so many parts to it and I didn’t know where to begin. So when Dylan invited me to learn from an expert, I happily took up the opportunity. This time, I would get the hang of the basics! Do it first, before you do any analytics. Learn more about your audience? Know which channel is the biggest source of web traffic? Understand how well your content or campaigns perform? We marketers often make one of these two mistakes when it comes to analytics. Some folks don’t measure the effectiveness of their marketing (or measure too little). Others don’t know what to focus on, so they measure everything “just in case”, and compile reams of data into a gargantuan report. The solution, said our trainer Zhong Li, is to be clear on which data you need and why. Then, learn the steps to getting the info you want. Is sitting for the Google Analytics certification exam worth the effort? Zhong Li said the certificate would be most useful if your job primarily involves crunching data. Then you’ll need to know the ins and outs of Google Analytics. But if you just want to track the effectiveness of your marketing, certification is not necessary. Say, you want to know what the most popular content (in terms of performance) on your website is. Where do you find that information and what metrics should you measure? If you want to know what your most popular content is, go to the behaviour section, which tells you about how people use your website. Then zoom in on relevant metrics like bounce rates, page view sessions, and conversions. Metrics by themselves don’t tell you much; you need to interpret them according to your goals. Take bounce rate for instance. That’s the percentage of people who visit a web page but don’t explore other parts of your website. Is a bounce rate of 80% good or bad? It depends on the purpose of your page. If your page is an educational article, or one of those long-scroll homepages, then a high bounce rate is not bad per se. It could be that most visitors can find all the information they need in one page. But if your page is a product page, and visitors “bounce” instead of clicking to the next stage of the checkout process, then there might be a problem. Maybe the copy or user experience is lacking. Maybe the offer is not a good fit for the audience. Ramit Sethi, the guy behind I Will Teach You To Be Rich, and his team recently offered their first discount in eight years. They figured that since price was one of the biggest objections to purchase, why not offer a discount? The team rolled out a carefully planned promotion aimed at people on their email list. It was an unexpected flop. Ramit speculated that it could be due to timing, attractiveness of the promotion, or poor fit with the audience. He isn’t 100% sure. But kudos to Ramit and his team for their willingness to test the discount, even though they thought it made sense. Don’t assume that something will (or will not) work. Put it out there and see how the audience reacts. Start with the numbers you get from your Google Analytics. Check the conversions section to see if you’ve hit the numbers you want. Another useful section to visit is the behaviour flow report. This report is a visual representation of how visitors navigate your website. It’s great for identifying which pages are the most visited, so you can prioritise them when making changes to your website. That’s what Peter Drucker, the renowned management consultant, said. Today, thanks to a variety of free and paid analytics tools, data is widely available. So, there are no excuses to know whether something works or not. That applies to creatives too. The most successful copywriters that I know of are not the most poetic writers. They are the ones who have a deep understanding of marketing and persuasion, and can use their knowledge to generate measurable improvements. I learned Google Analytics because I care about the results I get. 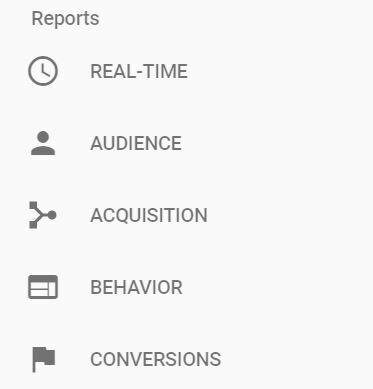 There’s much I still have to learn about analytics, but for now, I am glad to say that Google Analytics doesn’t scare me anymore!